Stick with me, it really is good! Spring and summer here in Michigan means leafy greens as far as the eye can see. Greens are amazing for you. They are nutritional workhorses that are low in calories but high in vitamins, minerals and phytonutrients. But am I the only one that thinks they taste kind of like grass? I know that I need to eat these amazing things, so I need to make it tasty. 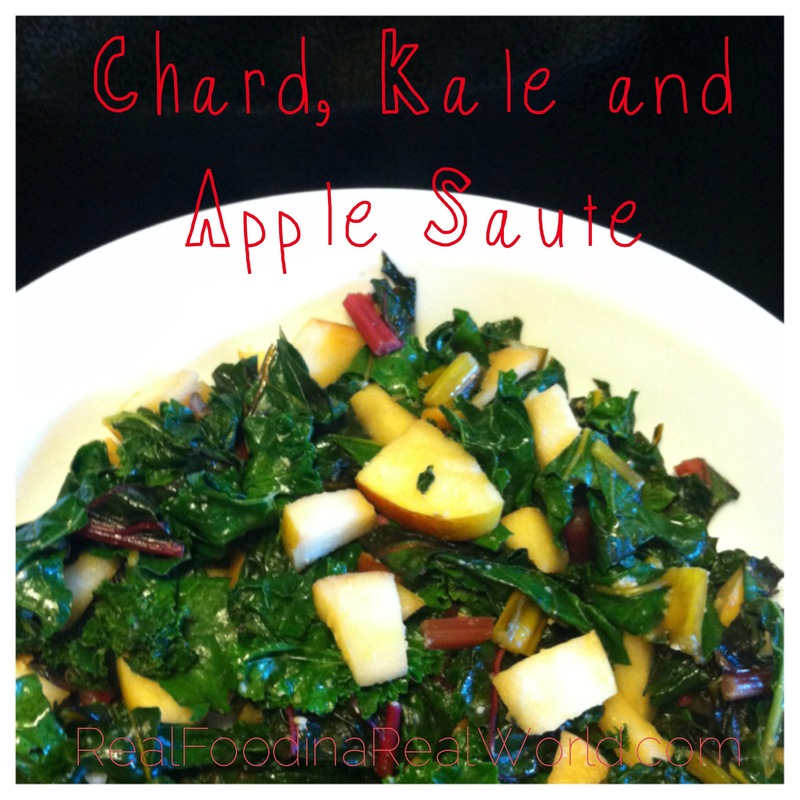 We have been getting lots of kale and Swiss chard lately so I have been mixing them together. In my opinion, chard is pretty “tame” and a much more delicate flavor. 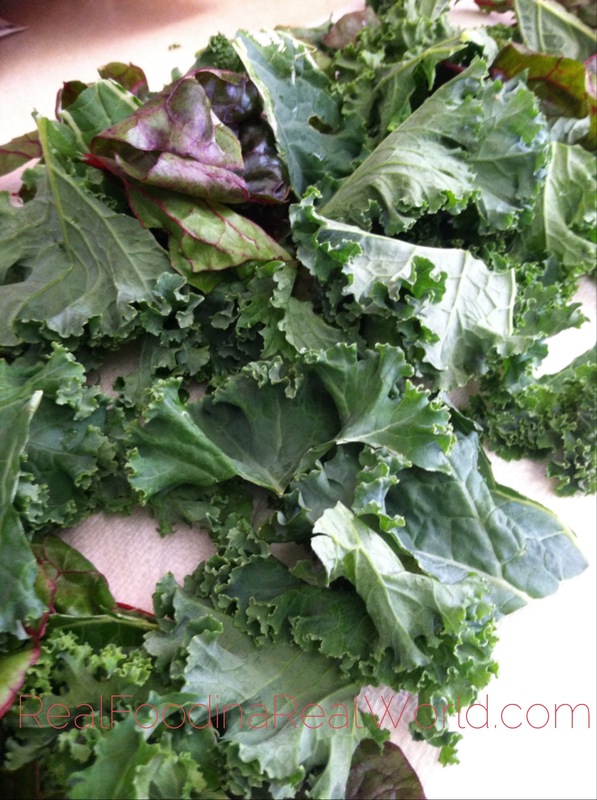 Kale is the much “grassier” of the two. I started throwing them together in this quick 10 minute side dish. Saute the onion and garlic in the oil. When onions become translucent add the kale. Saute until the kale begins to wilt. Add the apple and the chard. Saute until the apples are tender and the greens have wilted completely. Sometimes if the greens are really stubborn I add a few teaspoons of water and cover the pan for a few minutes. The steam will help break down the greens. Enjoy and pat yourself on the back for eating your greens! The apple really helps break through the bitter taste that greens have, so it is a great way to introduce things like kale to your palate. 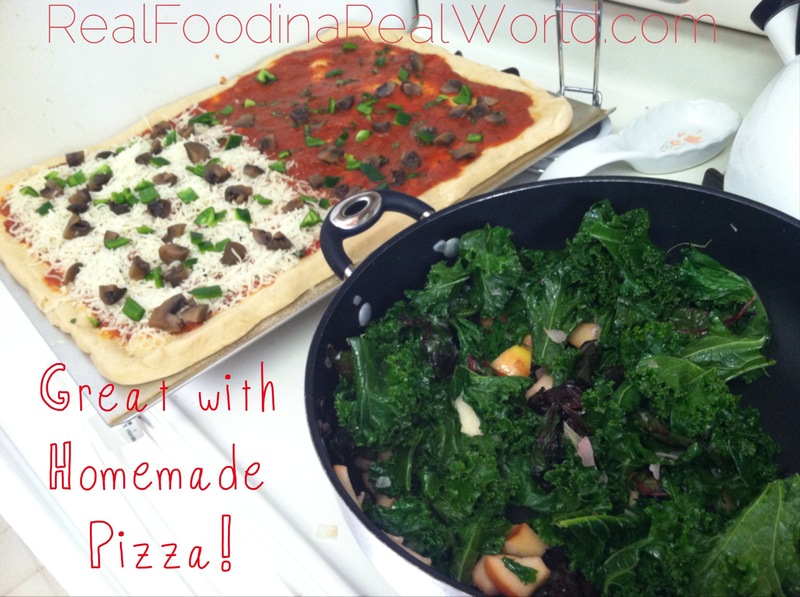 Real Food Kelly – besides kale chips, the only way I will eat kale!